BitTorrent Remote will offer you a secure way to manage your BitTorrent downloads from Android, using of a remote connection to your PC. Manage your BitTorrent downloads from Android. Can you imagine watching a film or going shopping, and being able to control your BitTorrent downloads? It's now possible. 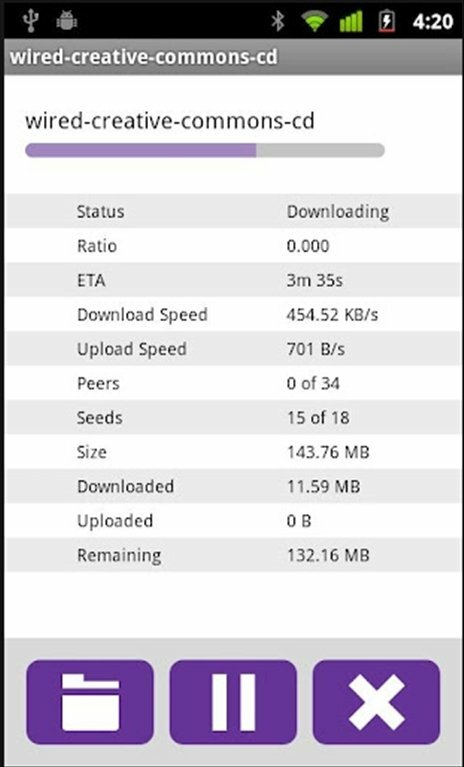 Thanks to BitTorrent Remote you'll be able to know at any moment in time the evolution of your favorite P2P downloads: BitTorrent. What's more, you can eliminate or add new torrents and pause or resume downloads. 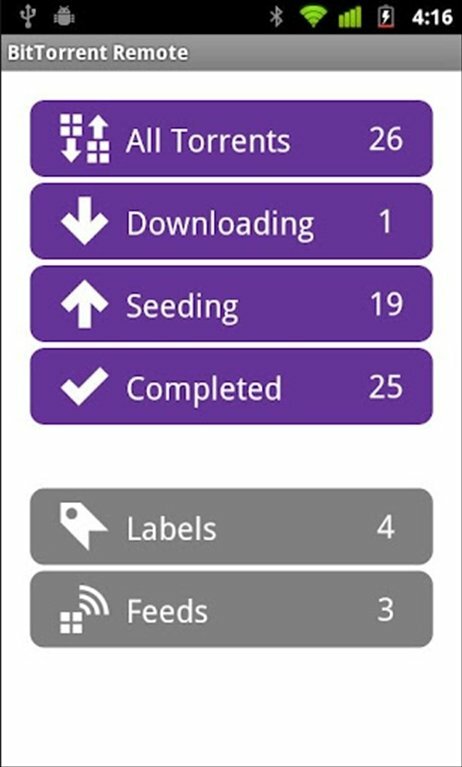 Everything is advantages: BitTorrent Remote manages the download of files to your PC (with Windows or Mac) by means of BitTorrent for Android. The files won't occupy space on your smartphone's memory, they will be comfortably stored on your computer's hard drive.